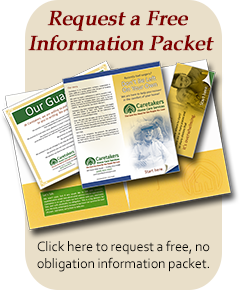 Caretakers has been providing the care you need for the people you love since 1988. When the daily activities of life become a bit too difficult, that’s when we can help. For 25 years, Caretakers has been trusted by families to help keep seniors in the comfort of their own homes. So what makes us different? NO CONTRACTS. NO MINIMUMS. * We stand by the quality of our service. No need to commit to lengthy contracts or minimum blocks of time. Need us for 1 hour, or even less? We’ll be there. WE’RE LOCAL. Caretakers has offices inside the communities we serve. Feel free to drop by and chat with us, and take comfort knowing that your caregiver is a fellow resident of your local community. THE BUCK STOPS HERE. We’re licensed and bonded, with properly vetted and trained employees. We’re experienced, and we’re compassionate. With Caretakers, you can rest easy knowing that you’re in good hands. * Applicable for Findlay address, 8am to 6pm Monday-Friday. Are you curious about Caretakers?